When it comes to creating and maintaining a healthy home, it always pays to take proactive measures. This means addressing any issue with your home right away rather than ignoring the problem. Seemingly minor issues like a small leak or loose shingle will worsen if not repaired promptly, potentially leading to costly water damage and other problems in your home. 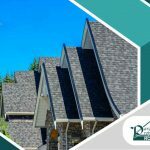 As your trusted provider of quality roof replacements and storm damage roof repairs, Paramount Professional Roofing can help eliminate the problems that threaten your comfort and well-being. Leaks – While some leaks may not seem like a big deal, it’s still important to deal with them promptly. Even a small leak is dangerous because it will eventually worsen, leaving your home with costly damage before you know it. Unfortunately, many only notice they have leaks when it’s already too late. Compounding the problem is the fact that finding the source of a leak can be tricky, as the origin of the leak may be in a totally different part of the house from the water damage you see on your ceiling. Fortunately, you no longer have to ask yourself, “Where do I find the best-rated roofer near me?” Paramount Professional Roofing is here to help. 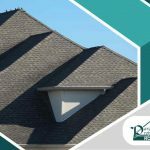 Our award-winning team will perform a comprehensive inspection of your roofing system to locate the source of leaks and provide the necessary repairs. We can also create a maintenance plan to help you identify and address minor issues before they escalate. Energy Loss – Have your energy bills suddenly spiked? This may be due to drafty windows or a roofing that’s not energy-efficient. 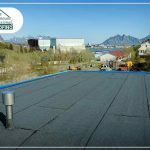 If you think your roof is absorbing excessive heat, you can turn to us for energy-efficient solutions to drive your comfort levels up and your cooling costs down. As a GAF Certified Contractor roofer, we can offer GAF’s Timberline® Cool Series® shingles to minimize heat transfer, helping stabilize indoor temperatures and preventing your HVAC system from working too hard and using too much energy. 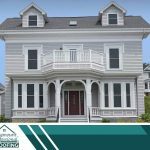 Outdated Exterior – Peeling paint, unsightly mold and moisture stains on your roof and other issues can easily leave a bad impression. If your exterior is starting to look drab and unattractive, contact Paramount Professional Roofing. We offer GAF’s complete product line, which includes wide array of shingle colors, styles, materials and designs. 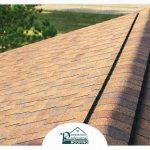 If you’re still searching for the “top-rated roofer near me,” look no further than Paramount Professional Roofing. We have all you need to maintain your home’s structural stability and beauty. To get started, simply give us a call today at (860) 459-9921.